How could we even think that there will be any real cure for baldness any time soon? It seems like all the sci-fi writers of the past, whether it be for books or movies, were WAY off. Let’s just hope that the biotech boom happens within this next decade. A valid point. We all seem to think our species is so advanced, but there are lots of things we can’t do yet. Let’s hope an effective baldness treatment is not on that list. » for books or movies, were WAY off. » Let’s just hope that the biotech boom happens within this next decade. » treatment is not on that list. » » for books or movies, were WAY off. » » Let’s just hope that the biotech boom happens within this next decade. Aderans phase 2 trials should be over by the end of this year. I’m waiting their results and hopefully they don’t let us down again!!! Trichoscience is on their phase 1 trials 4 months already. They described on their website that HM is easy to do and they are so optimistic. They promised to give regularly up-dated information about their studies but at the moment 4 months silence. Hopefully it’s just not hype what they are doing there and hopefully they really have something soon and they just don’t bullšhit with us. “A valid point. We all seem to think our species is so advanced, but there are lots of things we can’t do yet. Let’s hope an effective baldness treatment is not on that list.” included here is the cure for aids. » are lots of things we can’t do yet. But on the other hand, there are lots of things we CAN do. Almost any civilization from a couple hundred years ago would be blown away and thrilled by how far we’ve taken our hairpiece designs and HT cosmetic work. We’re just holding out for perfection. » work. We’re just holding out for perfection. Almost any.But we have strong contenders. Sorry for mention that, but sometimes I ask myself about WHAT exactly guys think, when they say they would love to see a “real cure for baldness” soon. Should it be a pill? A serum for injection? In vivo cultered thousands of terminal hairs? Or in vitro cultured skin with thousands of terminal hairs? All of them? So about what exactly do they think??? I think different things work for different people with different hairloss problems. That means NOT EVERY “breakthrough” in the battle against hairloss/baldness might be interesting for hairloss suffering people. So WHAT exactly (medicine/methode/technique) could be interesting personally for YOU? What exactly would be a “real breakthrough” personally for YOU? @john35 - GREAT! That’s all I can say. Your post is definitely the best one I could see/read last time! And therefore I think, THIS FUTURE IS JUST MUCH TOO EARLY FOR US- TODAY! Well I think that we are flawed in thinking that we are so advanced. We are like children and are destroying ourselves in the pursuit of life extension and power… Ants are advanced, they create civilizations, and don’t suffer psychologically. We need to be more like dolphins. » Your post is definitely the best one I could see/read last time! 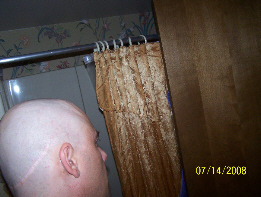 Right now, going bald in our prime years, socially suffering for it, we are experiencing nature’s beautiful plan for treating MPB. Don’t ever forget that. » and don’t suffer psychologically. » We need to be more like dolphins. How about a cosmetically acceptable result for 99% of the people suffering from MPB? It really doesnt matter if its a magic pill which lets hairs sprout out of your head instantly or if it is a bunch of injected cells which produce hair thats is indistinguishable from your own. It really doesn’t matter what EXACTLY the procedure will be… what people here consider to be a cure is anything that will yield a cosmetically acceptable result. It’s all about vanity… Isn’t that kind of obvious? » terminal hairs? Or in vitro cultured skin with thousands of terminal hairs? » So about what exactly do they think??? 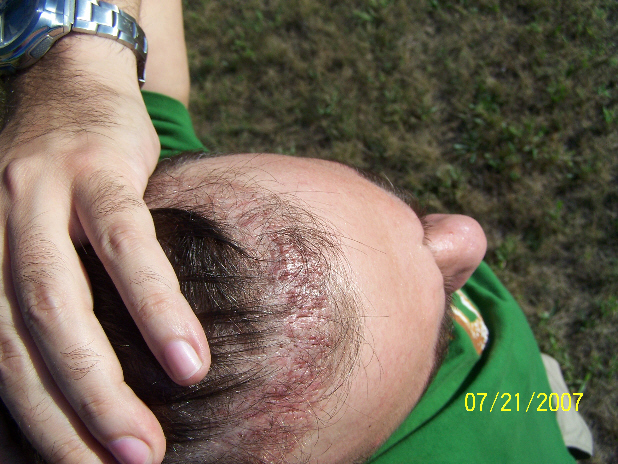 » hairloss/baldness might be interesting for hairloss suffering people. » What exactly would be a “real breakthrough” personally for YOU? » doesn’t matter what EXACTLY the procedure will be… what people here consider to be a cure is anything that will yield a cosmetically acceptable result. It’s all about vanity… Isn’t that kind of obvious? I think that is exactly what sums this topic up - my thoughts too. “The Cure” also needs to be feasible in terms of practical issues too. Side effects, monetary cost, etc. If none of that stuff matters, then the majority of MPB cases in the younger men could probably be treated today. Just get $40,000 in FUE work and castrate yourself to stop the future loss. haiyz… I don’t know when will be that time when baldness will not be a problem any more.